Laura Engleby loves Christmas; it’s her favourite time of year. Her daughter, Holly, is due home from university; Spindlewood, their draughty but beautiful old house with its quirky turret, awaits its dressing up for the festive season; Cynthia, the Christmas tree fairy, is a vision in pink, and preparations are well in hand for Laura’s Christmas Eve party, a tradition started in her late husband James’s time, to which most of the residents of Charnley Acre are invited, and those who aren’t turn up anyway. When Clayton Masters, owner of Green and Fragrant Garden Services, finds himself with nowhere to sell his Christmas trees, Laura doesn’t hesitate to let him use her garden. Christmas trees at Spindlewood – what could be more perfect? It’s easy to overlook the fact that it’s Spencer Jennings, the man Laura might just spend the rest of her life with, who is preventing Clayton from using his usual tree sales plot in the centre of the village. After all, it’s just business. Isn’t it? Storm clouds gather above Spindlewood, threatening Laura’s festive mood when she discovers that Clayton and Spencer are bitter enemies. She has no idea why, and nobody is saying, least of all the two men involved. Spencer’s behaviour towards Clayton is as far from the spirit of the season as it could be, and Laura starts to wonder how well she really knows him. Clayton, on the other hand, behaves impeccably. What is more, it seems he will do anything for Laura. When she realises that Clayton hates Christmas, Laura is shocked. How can anyone hate Christmas? But a much deeper shock is in store when she discovers the reason. Laura is on a rescue mission – but what has Clayton’s tragic story got to do with her, and why does his happiness matter so much to her? 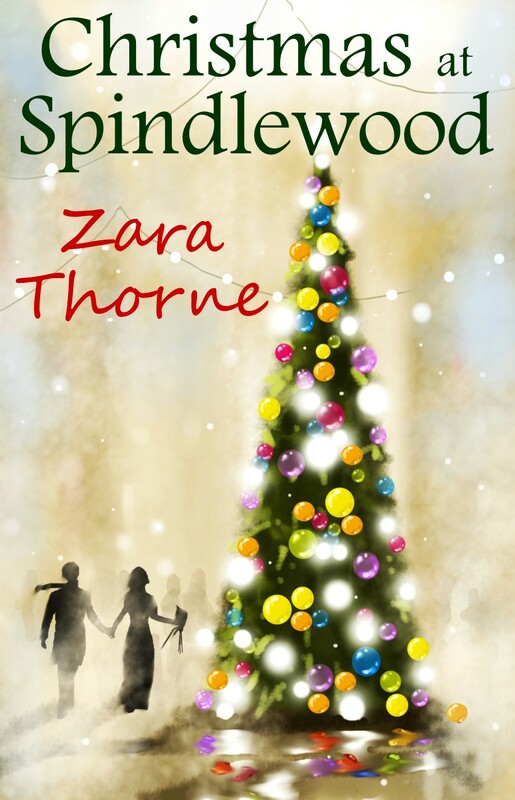 Christmas at Spindlewood is available here.